Domestic electronics and accessories maker Detel has launched a new tower speaker in India, named the Detel Thunder. The speaker is targeted at party goers and is claimed to offer a rich, immersive music experience. Detel claims that its new tower speaker offers a perfect blend of chic design and new-age technology and features. A user can also wirelessly pair a media device with Detel Thunder via Bluetooth. 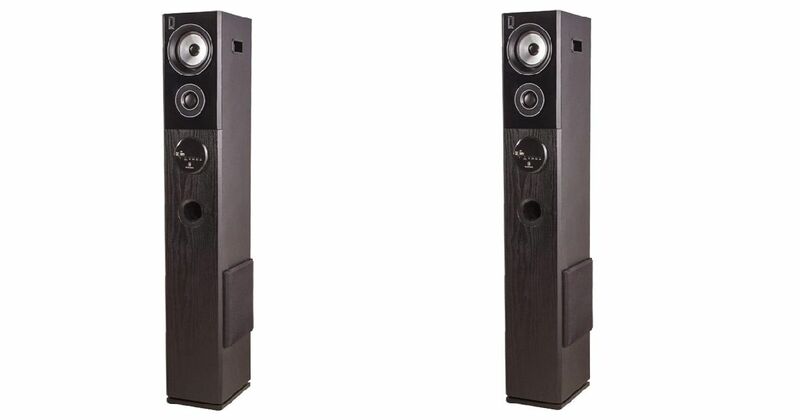 Talking about the specifications, the Detel Thunder ships with two “high-intensity” speakers up to 50W and a 10.16cm subwoofer that “emits sound with clarity from the lowest to the highest tones.” The main unit offers a frequency response of up to 2,170KHz, while mid-speaker goes up to 20KHz. Other than the Bluetooth connectivity, the speaker also supports USB flash drives, microSD cards, AUX connectivity, and FM to play your choice of music. The speaker’s body sports matte-finish with a display on the front panel along with a control pad at the centre and dedicated keys at the back to control bass and treble. The Detel Thunder also offers mic connectivity and can be paired with TV through AV port. The Detel Thunder has been priced in India at Rs 4,999. It goes for sale across the country on the company’s official website, Flipkart, and Amazon starting today.